The utilisation of a boxgutter allows the addition of an Edwardian style conservatory to an even wider range of dwellings. 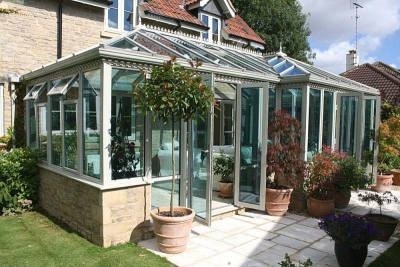 A boxgutter allows the Conservatory to abut the existing house wall or to simultaneously drain the existing house roof and the conservatory roof. This design is particularly suitable to properties that have height restrictions that would foul the ridge of a standard conservatory. 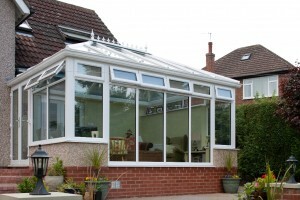 It is also the perfect choice for bungalows where the roof soffit is at a low height. With conservatories now in Vogue, they became an ideal room to entertain guests and display the horticultural trophies of the British Empire. The ambience and light of the conservatory contrasted with the dull interior of the home allowed Edwardians to introduce furniture and ornaments as exotic as plants. From wicker settees to caged songbirds the Edwardians indulged themselves into the romance of the conservatory while maintaining classic exteriors which would have complimented the architecture of the home.